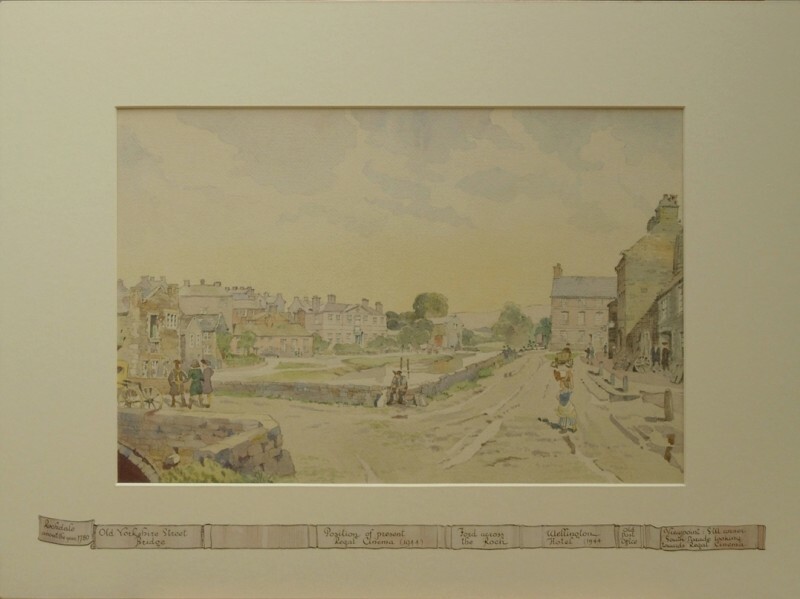 Many of the watercolours and drawings I am asked to conserve for museums and galleries are by amateur artists from the 18th to the early 20th century. 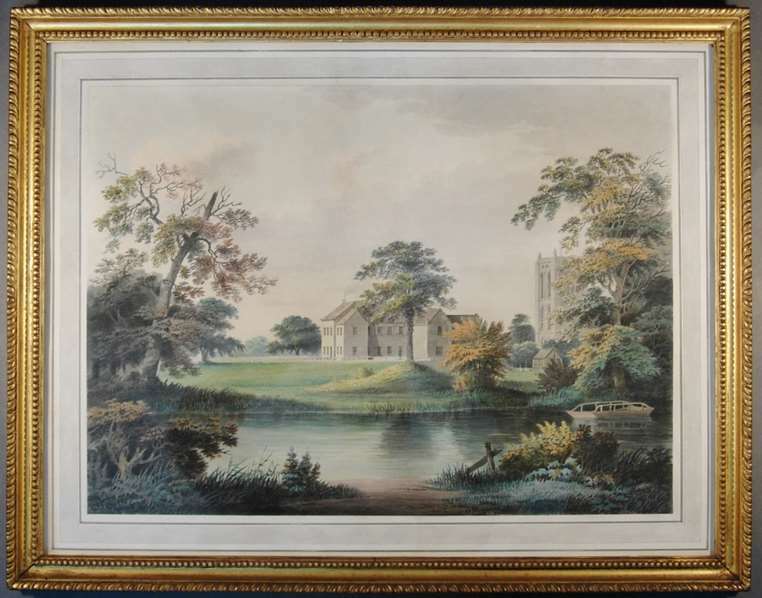 The value is not in their artistic merit but in the fact that they depict changing or vanished topographical views. 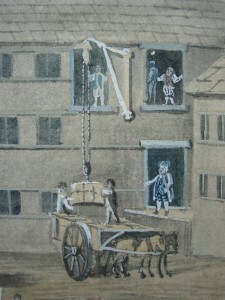 As such they are a unique record, often pre-dating photography, of the appearance and life in and around towns and city centres. Residents of Rochdale will be well aware of the exciting development taking place in the town centre to uncover the River Roch and the medieval bridge, which has been hidden from view for over 100 years. Funded with a £1.2 million grant from the Heritage Lottery Fund (HLF), Rochdale will be the only town in Greater Manchester with a river running through its centre. The river, once vital to the town’s economy and mills, began to be covered over in early 1900’s to create space for trams. 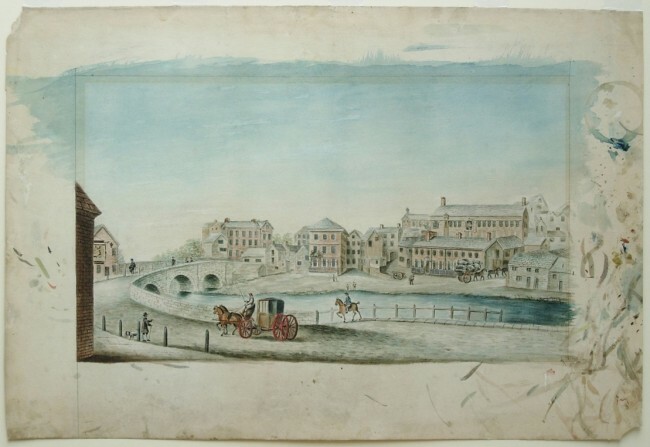 As part of the wider project, Touchstones Rochdale will be holding an exhibition from this September of art and objects relating to the appearance and life around the river through the ages. 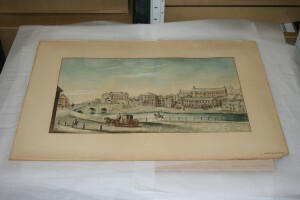 Curators at the gallery approached Artworks Conservation to restore, mount and re-frame a group of watercolours of the River Roch from their collection. 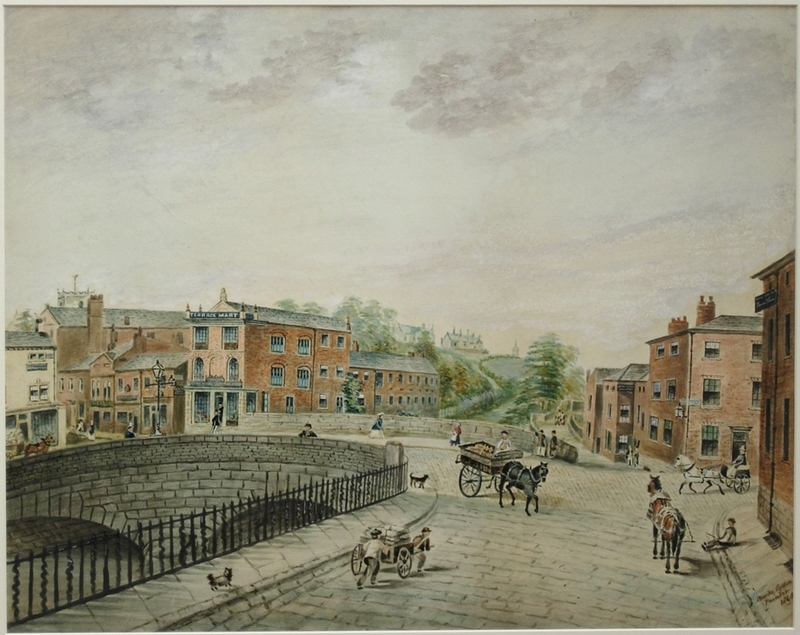 They depict the river, buildings, bridge and townsfolk from periods in Rochdale’s history from the 18th and 19th century. 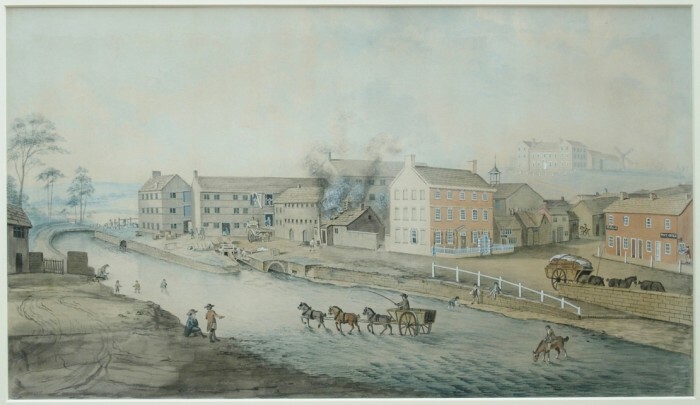 One of the earliest of these, ‘Fording the Roch’ by an unknown artist, was also one of the most discoloured. Originally mounted on canvas around a wooden strainer, the paper was so darkened that only the lead white highlights stood out. 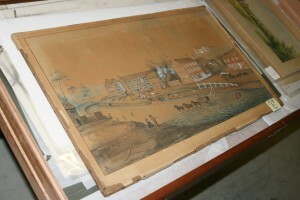 After removing the canvas and old layers of adhesive, the paper could be safely cleaned by a washing and bleaching process. 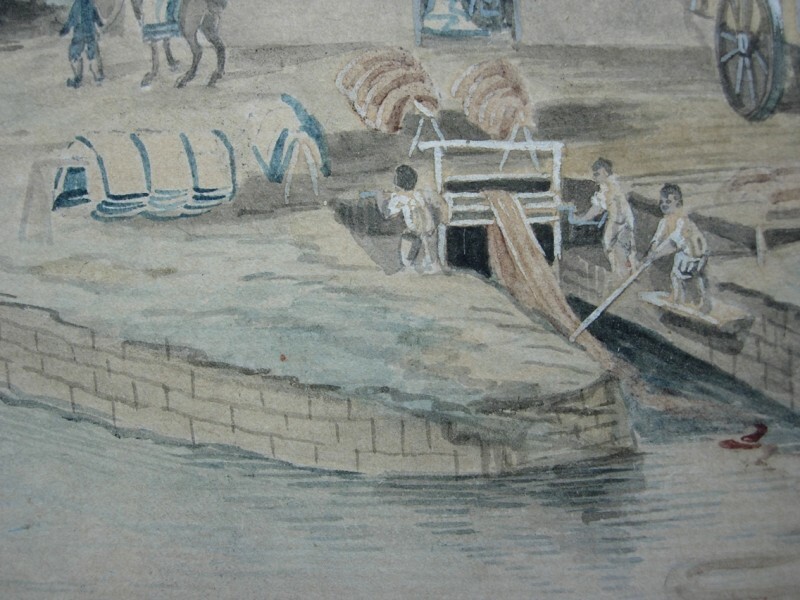 This revealed the depiction of an array of activities and trades along the riverbank. The watercolour is not dated, but it is possible from the ‘J Whatman’ watermarked, laid paper to date it to before 1794. 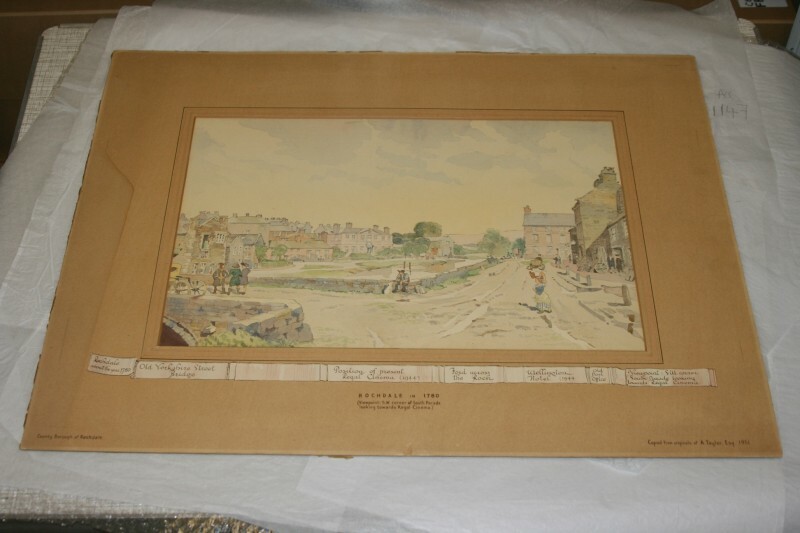 It has now been re-lined onto a strong but lightweight Japanese paper before mounting. Fig 2-7. ‘Fording the River Roch’, after cleaning and details. Can you identify some of these activities? 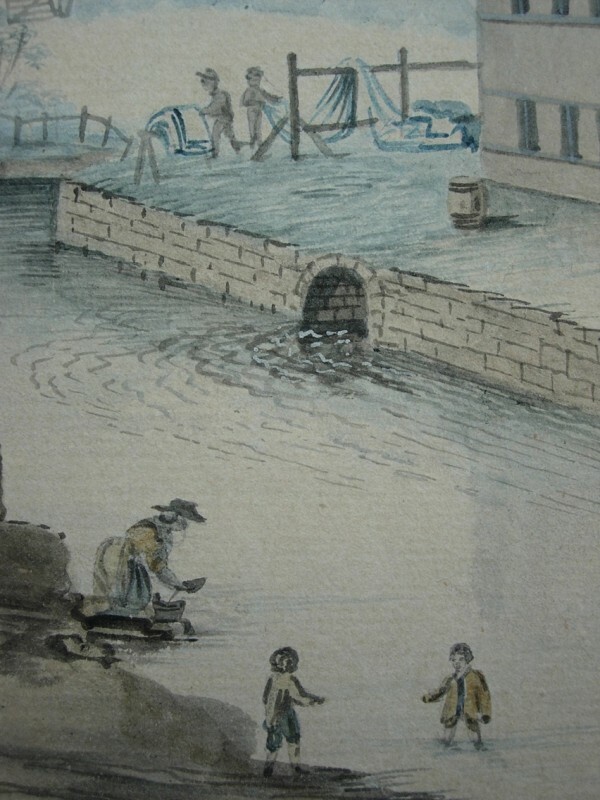 Another anonymous eighteenth century study, this time of the area known as The Butts, is also undated. 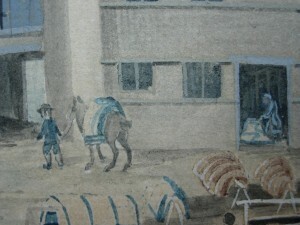 Again the paper can help in dating it, this time to after 1757, the date when wove paper, on which this is painted, was introduced. 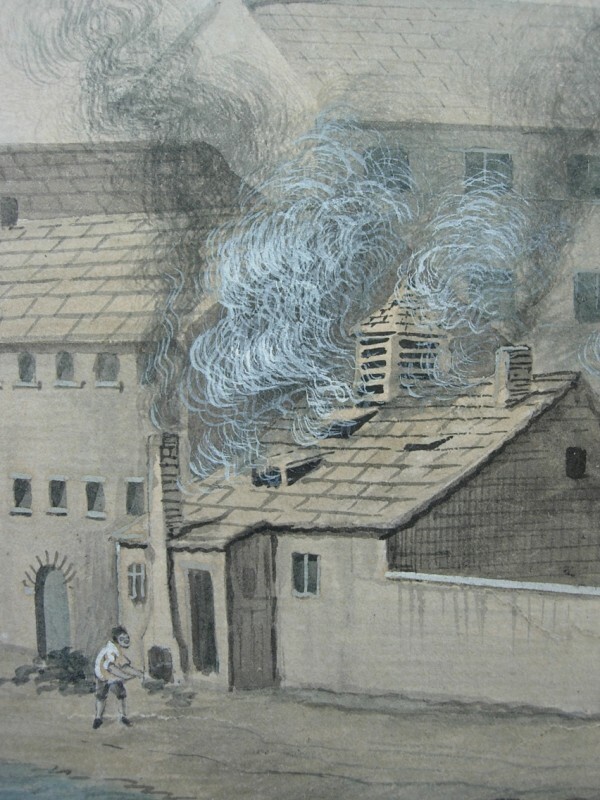 Wove paper was not in common use by artists until later in the eighteenth century. 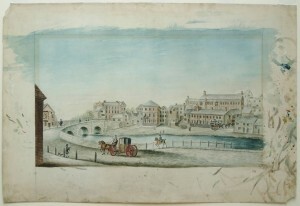 The picture meticulously depicts the bridge and buildings along this part of the river. The paper was disfigured by brown spots, known as ‘foxing’, and was cockled. When the old mount was removed, it revealed the edges of the paper where the artist had tested the colours and even rested a water pot. 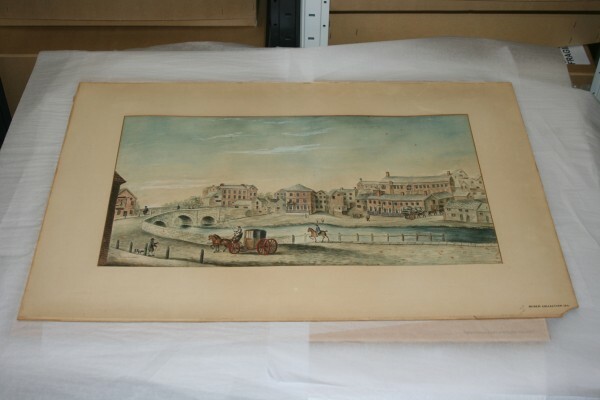 The foxing was treated to remove it and the picture, now lying flatter, has been given a new mount and frame. The latest of the paintings is dated 1864, by the amateur artist Charles Ogden. 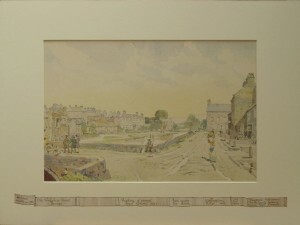 This shows the bridge and includes the wonderful detail of names on painted shop signs. The artist may have used paints more associated with sign painting, for the sky was painted with lead white even though a more stable white pigment, zinc oxide, had been introduced in 1834. 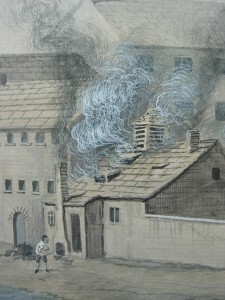 The black clouds in the sky are actually the result of this lead pigment being blackened by sulphurous pollution in the air. Fortunately, it is possible to revert it to a white pigment again using a peroxide solution. This was done as part of the conservation treatment. 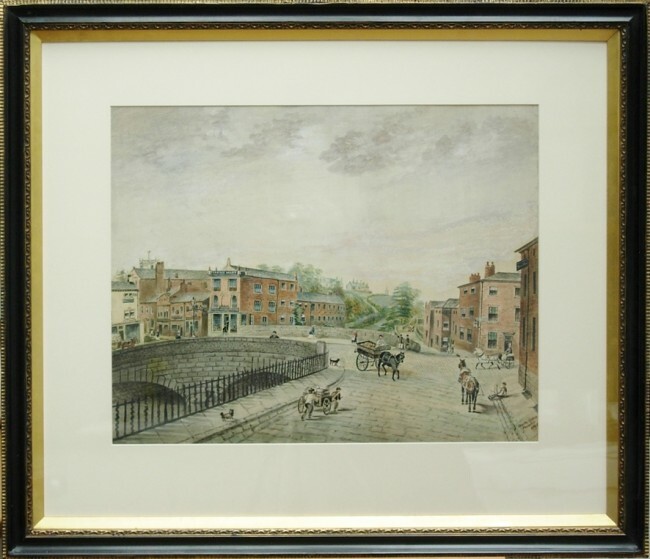 The cleaned picture has gone back in its original frame, which was restored during this recently completed project.